When I taught in the classroom, I always incorporated cooking with kids into our lessons. (As a mom, I do the same.) We made homemade butter. We read Johnny Appleseed and all kinds of apple books. Then, we made homemade applesauce. I found cooking with kids to be one of the easiest ways to motivate them to read. They don’t even realize they are reading when you read a recipe together and prepare something yummy. 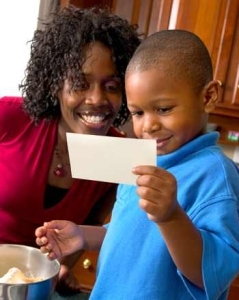 To top it off, cooking with kids helps raise reading comprehension because they are learning how to apply the sequence of events that they read. Learning to understand steps in a process, sequence of events, is a vital comprehension skill. Cooking together is a delicious and fun learning experience for you and your children. Cooking with your kids makes them smarter, because they explore new foods, learn about nutrition, and develop math and reading skills as they measure and read directions. 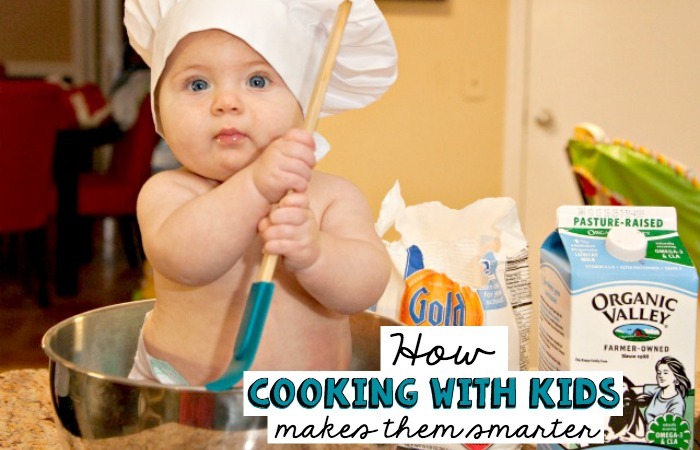 (Click here to continue reading: How Cooking With Kids Makes Them Smarter.) 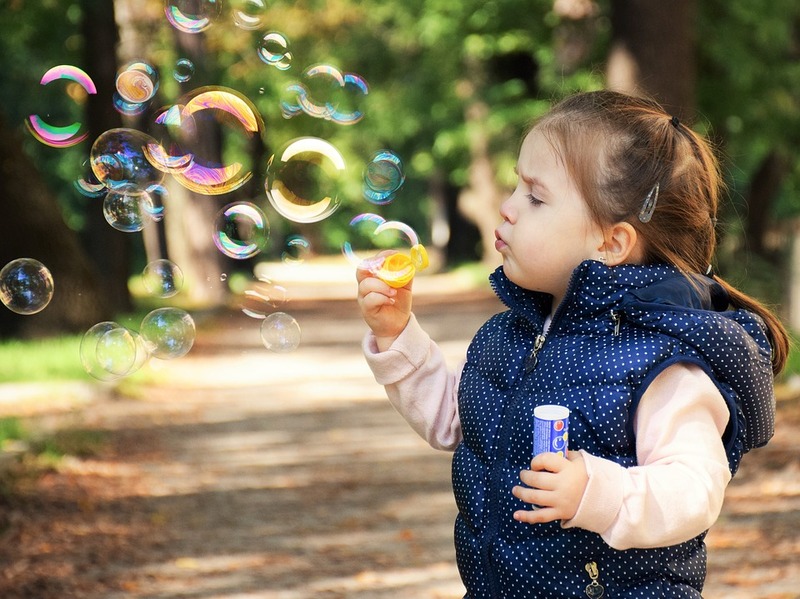 In this article, I include how cooking with kids increases literacy. I loved this post! My son is 19 months old, and we’ve just started cooking together. He doesn’t quite understand what we are doing yet, but he has fun! 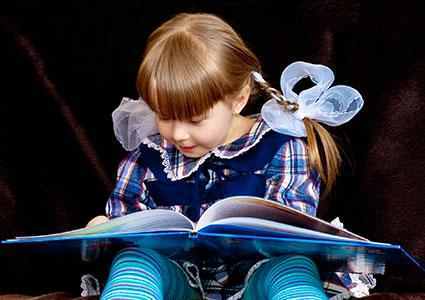 I am a huge advocate for reading at a young age. 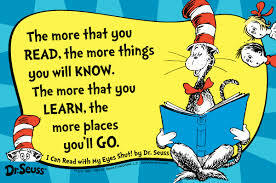 We read dozens of books each day. Thank you for this lovely site you’ve created! You are so right. I taught my children all about measurement and fractions through cooking. Love this! It is so fun to teach through every day experiences! Really enjoyed this post – one of the things I love doing with my kids is cooking with them! Awesome! I’m about to start a job taking care of two preschool aged girls–And I’ll definitely plan on getting them involved in the kitchen when I can! 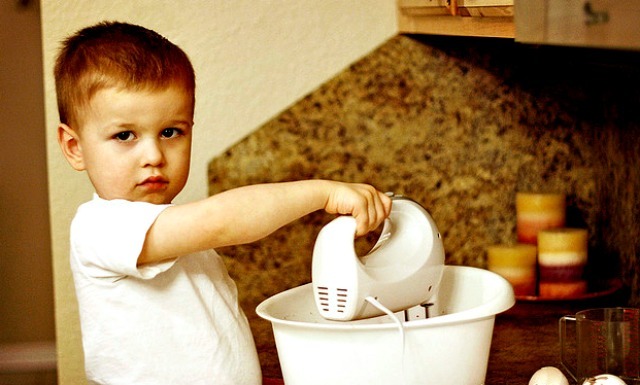 Oh, you are going to love building memories in the kitchen with your kids. They will love it too. 🙂 Plus, they will learn so much. Cooking is such fun with kids if you have the patience in the beginning I found. It also pays dividents in both literacy and in getting kids independent! My middle child likes to bake and cook but I should have done more cooking projects with my other two! 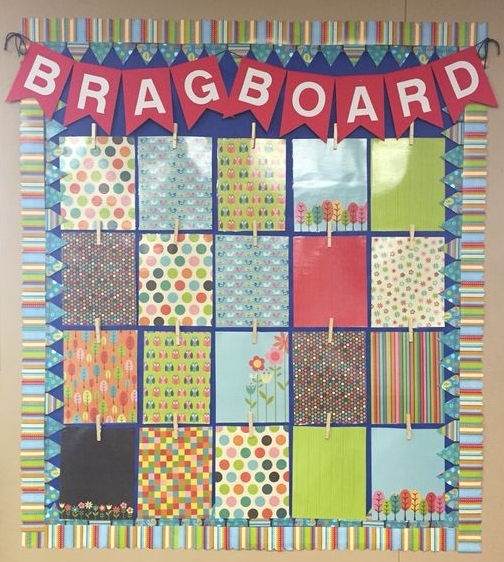 Thanks for sharing this great post at the Kid Lit Blog Hop!